Order in the next 1 hour 7 minutes for delivery on Tuesday, April 23. For engraving, order in the next 8 minutes for delivery on Tuesday, April 23. 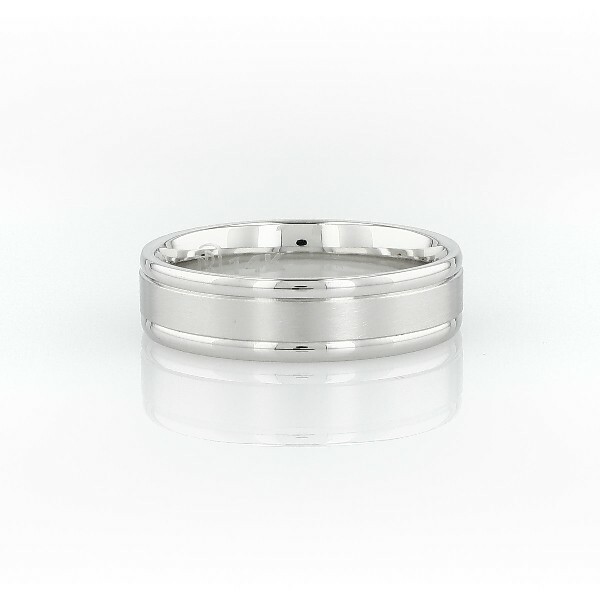 You'll love the subtle detail of this brushed inlay wedding ring. Crafted in brightly polished 14k white gold with a brushed finish center band, this timeless ring features curved inner edges for endlessly comfortable wear.